Welcome the new Danish style home decor trend for living rooms. Hygge pronounced like hoo-guh is a Danish word for a mood of coziness and comfortable conviviality with feelings of wellness and contentment. With the state of the world I think this trend is really catching on as we make our homes a safe haven of rest and relaxation. 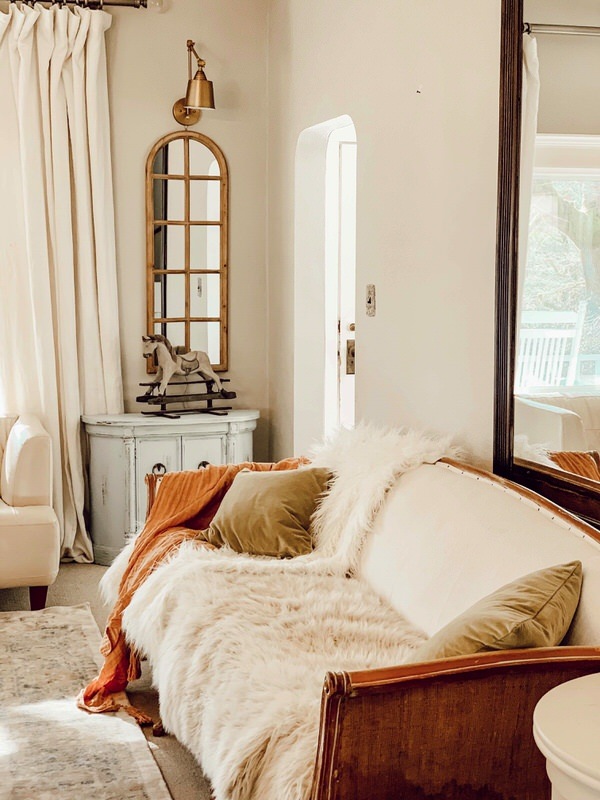 Here is how I create a Hygge Living Room/7 Style Tips. It plays a big part in making your living room feel more hygge. 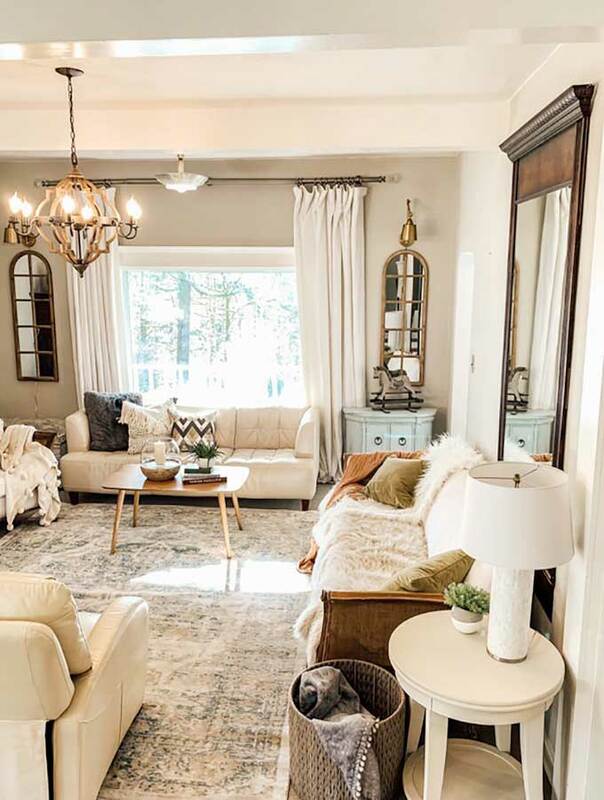 Using neutral earthy tones will be a the foundation for this style. You can add other soft tones with your accessories. One of my favorite furniture pieces is this modern cream leather sofa from Macy’s. We’ve had it for about twelve years and found it cleans well and withstands the seven kids and one Daisy dog that we have. I don’t let daisy sit on the antique cloth covered furniture as that is harder to clean but the kids sure like it as they are soft and relaxing. Help make a space feel more cozy. So in my hygge living room I added some earthy tones like greens and deep oranges. 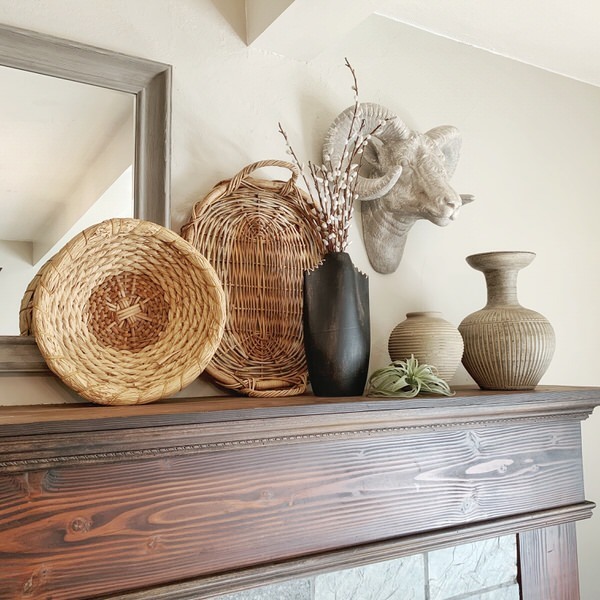 Wood accents also helps bring about a comfortable vibe. 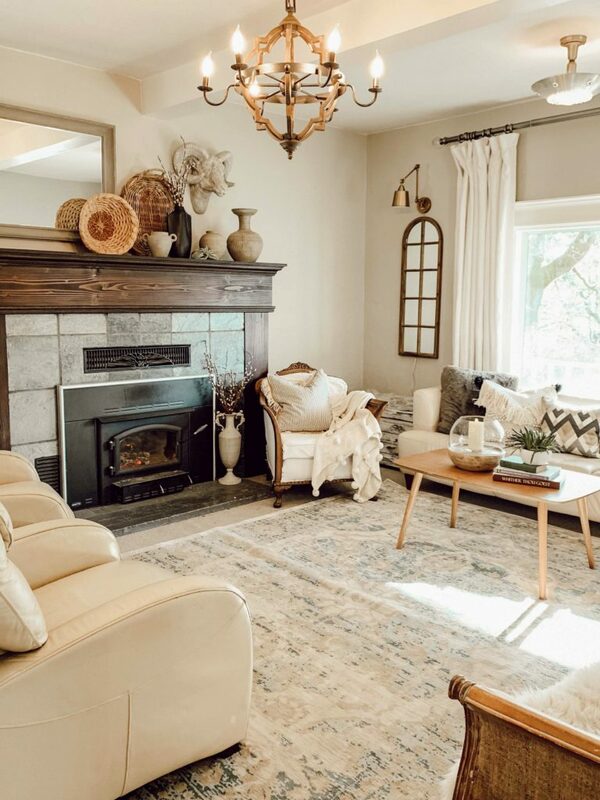 As you can see here that I used a modern coffee table with vintage to give this room visual appeal and it fits my way antique shopping as well as shopping new. I’m all about mixing and matching. If you want to learn more about hygge, I have a hygge lifestyle guide to get you living a relaxed life. Are one of my favorite design pieces. Some of these pillows I have available in my Etsy shop. 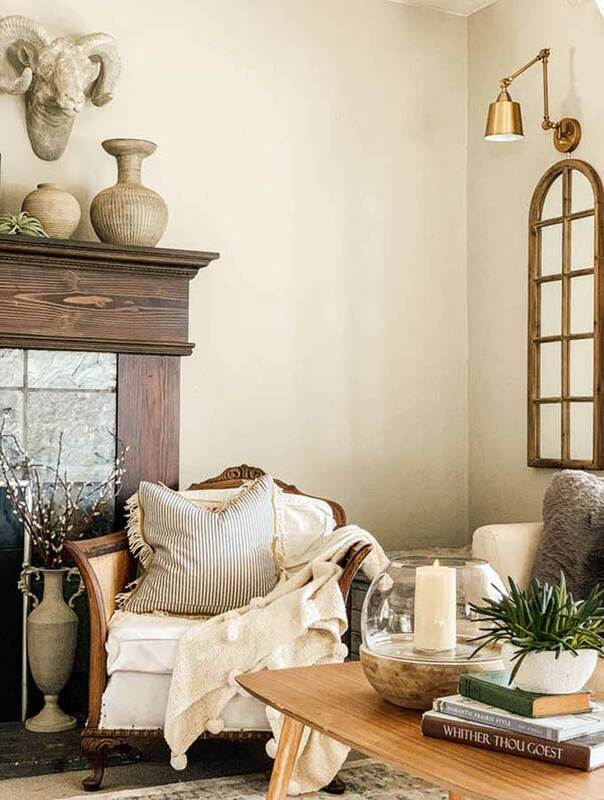 Textured pillows paired with velvet and other soft materials helps create that perfect Hygge home style. I use feather inserts in all my pillows for comfort and relazxablity. Different size pillows help add dome depth to your Hygge living room instead of having all the pillows at one level. Pom poms, fur, wool, or tassels on your throw blankets add the perfect touch of coziness. I find company loves throw blankets as we sit by the fire visiting with a cup of tea or coffee. My favorite tea right now is Lord Bergamot. It a deep dark tea with a bit of spice that is very calming. My kids love the fur throw blankets and often find us taking it from each other as we sure have our favorites. I do like a lightweight throw for spring and summer for color and just to drape for color. Here is another big part in making your Hygge living room. 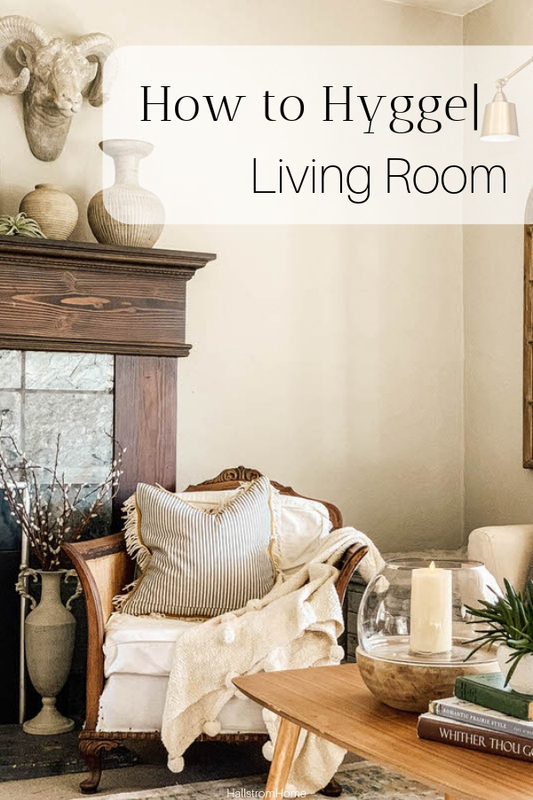 I would recommend Magnolia Home Paint, they have beautiful neutral paint colors. Their most popular color is Shiplap. I have many favorite neutral colors from Magnolias paint line. 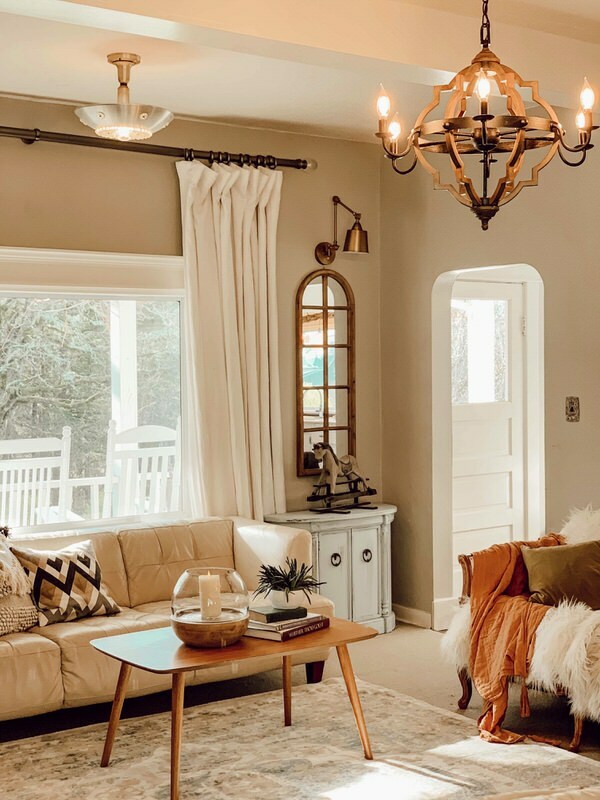 They would all work great when creating a hygge living room. I like to use simple window coverings, nothing too crazy looking. I use classic french linens, which also goes under the tips for earthy elements. 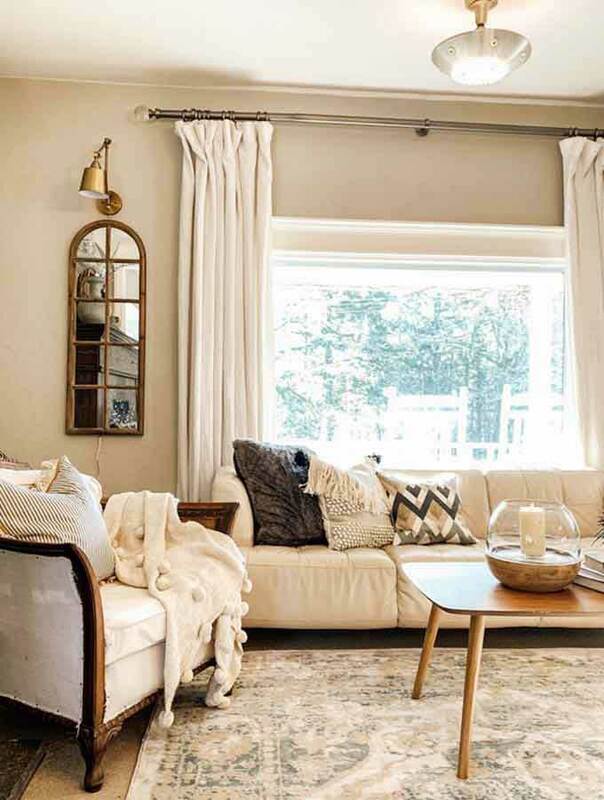 Going with a simple yet elegant window covering with be easy on the eyes and creates a cohesive space of comfort and relaxation which is key for this Danish style decor trend. If you follow me over on Instagram you know we are finishing our new office space. I created a hygge home office design, to make work feel stress free. Creating a cozy ambiance in your Hygge living room with candles. These are usually neutral tone candles. Sometimes a light earthy scent is nice to bring about a sense of comfort verse using candles with a strong floral or fruity smell. I will include some of my favorites that are part of my affiliate marketing. Let me add that if you prefer flameless candles, I use the Pottery Barn ones. They look so realist that company always comment on how beautiful. As they move closer they see that they are just battery operated. they do have a timer and the batter lasts many months. Mine are going daily and make me happy as I walk into my Hygge style living room. Let me know if you have any questions on paint or style tips. I have been remodeling and painting for years. I can say that colors are my passion whither it be neutrals, brights or bolds. It all depends on the style you feel most comfortable in. I also want to encourage you to feel free to add what you love and to be free with it. Life here on the farm isn’t about perfection (It’s a bit crusty as you can see) its about creating beauty where we can and enjoying the small things in life like babies and doggies and the fun laughter with family and friends. So now its time to invite company over to your Hygge style living room because thats what lifes about.